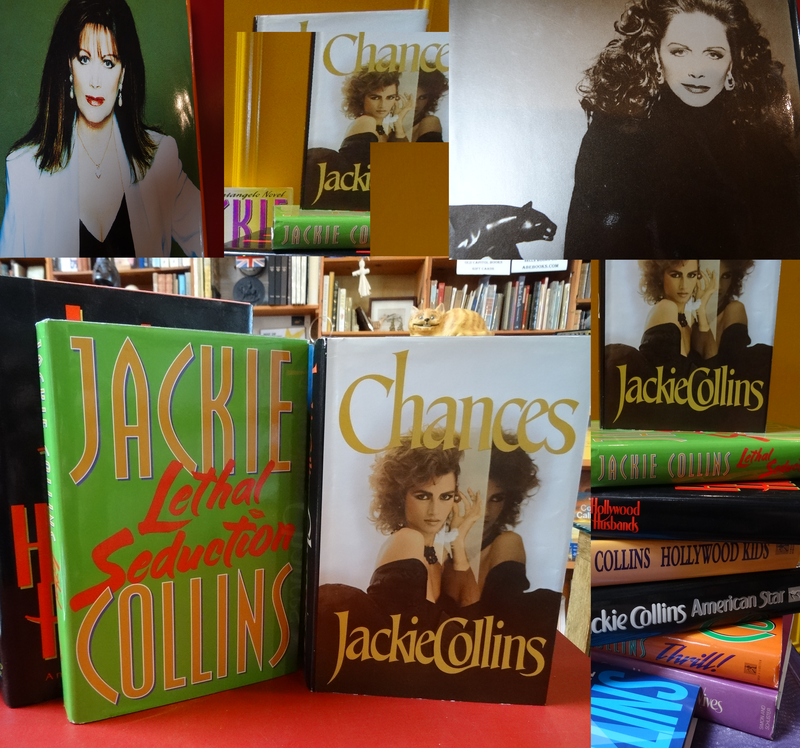 Though our favorite Hollywood drama writer Jackie Collins just passed on, you can still collect her delightful books. Yes! They are available at Old Capitol Books! I recently bought a bunch of her hardbacks that I know you collectors will drool over. Your favorite Jackie Collins books – “Dangerous Kiss”, “Hollywood Wives”, “Hollywood Husbands”, “Hollywood Kids”, “Thrill”, “Chances”,…and more!! Reacquaint yourself with your favorites characters…Brigette Stanislopoulos, the heiress, Alex Woods, the Hollywood producer with the lethal smile, Venus Maria, America’s most controversial superstar! (whodathunk! ), Charles Dollar, the off-the-wall, fifty something movie star with an eye for teenage girls (naughty – naughty. Off to jail you go…), and Honey Badger, “He don’t give a damn”!, etc., ad nauseam (as a matter of fact, lots of nauseam). Come on down and blow your hard earned wad at Old Capitol Books! We look forward to your visit!